Read Observations From A Chiropractor by Dr. Paul Miller to learn more about Advanced Chiropractic and our Chiropractic office in Spokane, WA. Man’s trajectory from the beginning has been to come, become, adapt, and grow. Our evolution from even a small infant can be measured by lying to sitting, sitting to crawling, and finally crawling to standing. With this said our species from an outside observer would now be entered as the era of de-evolution of man. Our postures on a grand scheme are beginning to hunch and roll from an early and earlier age. But the most noted is the amount of illness, pain, and degenerative diseases that are occurring in the most technologically advanced societies. If you are now taking the time to Google the why Stop! 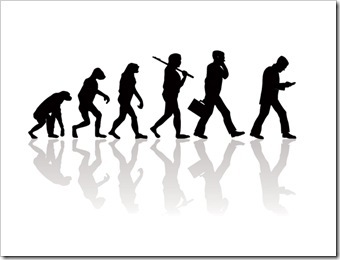 You have stumbled onto one of the leading causes of the de-evolution of man’s posture. Today, most of our communications are received through a small screen that we slouch and slump to see due to the long hours we remain in that position to inner face with the world. We as adults down to our smallest children can now easily be found no longer interacting with the real world but living virtually. Although we may be obtaining useful information, few people understand the true importance of maintaining good posture while collecting information and interacting with our computers. This poor posture is accelerating our forward head posture which is not only a primary contributor to headaches, neck and shoulder pain, and back pain but is having a detrimental effect on our overall health. Good posture is more than standing up straight. You have posture when you stand, walk, sit, kneel, lie down, play sport, etc. Whatever position your body gets into, there is a right way and a wrong way of doing it. The right way reduces strain on the supporting muscles and ligaments. The wrong way hurts but not necessarily with immediate pain. The most dangerous posture change that is affecting our society of all ages today is the forward head posture. The forward head posture change is a huge factor in your overall health because it relates to your central nervous system, which is your body’s power supply. When you have a forward head posture, your spinal cord is pulled and stretched, and this tension changes the shape of your spinal cord. When your spine is healthy and relaxed, your spinal cord sends signals between your brain and body at approximately 275 mph. As you decrease the natural curves of your spine and over stretch the cord, the speed of these signals traveling between your brain and body all day long is compromised. Keeps your bones and joints correctly aligned, so your muscles function properly, and your joints experience the least possible wear and tear, reducing the risk of degenerative arthritis and joint pain. Reduces the stress on the ligaments that hold your spinal joints together, making injury less likely. Allows your muscles to function with less effort, so you get less tired and stressed. Lowers the risk of muscle strain and overuse disorders that can cause back and muscular pain. Be aware of the common risk factors for bad posture which include obesity, stress, pregnancy, weak postural muscles, unusually tight muscles, high-heels, lack of flexibility, poor work ergonomics, and bad habits when sitting and standing. Your feet should rest on the floor. If they don’t, use a stool. Crossing your legs is not advised, and keep your ankles in front of your knees. Check there’s a small gap between the front of your seat and the back of your knees. Keep your knees at or below the level of your hips. Support your low- and mid-back, either with a backrest or back support. Don’t tense the shoulders, and check that your forearms are horizontal. Get up and move about regularly when stuck sitting down for long periods. The balls of your feet should bear most of your weight. Don’t lock your knees; keep them slightly bent. Feet should be shoulder-width apart. Let your arms hang free at your sides. Stand straight and tall with shoulders pulled backward. Keep your stomach tucked in. Your head should be level, earlobes over your shoulders. Don’t force your head in any direction. When unavoidably on your feet for a while, shift your weight from your toes to your heels, or from one foot to the other, to share the burden. A suitable mattress is imperative. Make sure you find one that is supportive and comfortable and suits your individual needs. Use a pillow to maintain your spine in proper alignment. Sleeping on your back is preferred with a small cushion to support your natural neck and lumbar curve. To assist with this place a small pillow under your knees. Place a pillow between your legs if you sleep on your side. Permission To Use Your Smart Phone! Call Us! Our expert team looks forward to helping our community become healthier and stronger by addressing your body as a whole unit while reducing pain and addressing processes in your health that have become a challenge. Make sure also to visit our website for more great health education information – Just make sure to schedule an appointment so we can help you achieve a healthier taller you! This entry was posted on Tuesday, May 30th, 2017 at 8:24 pm and is filed under Health Articles. You can follow any responses to this entry through the RSS 2.0	feed. You can skip to the end and leave a response. Pinging is currently not allowed.